Methow Arts announces the installation of the annual display of student artwork at Mid-Valley Hospital in Omak. 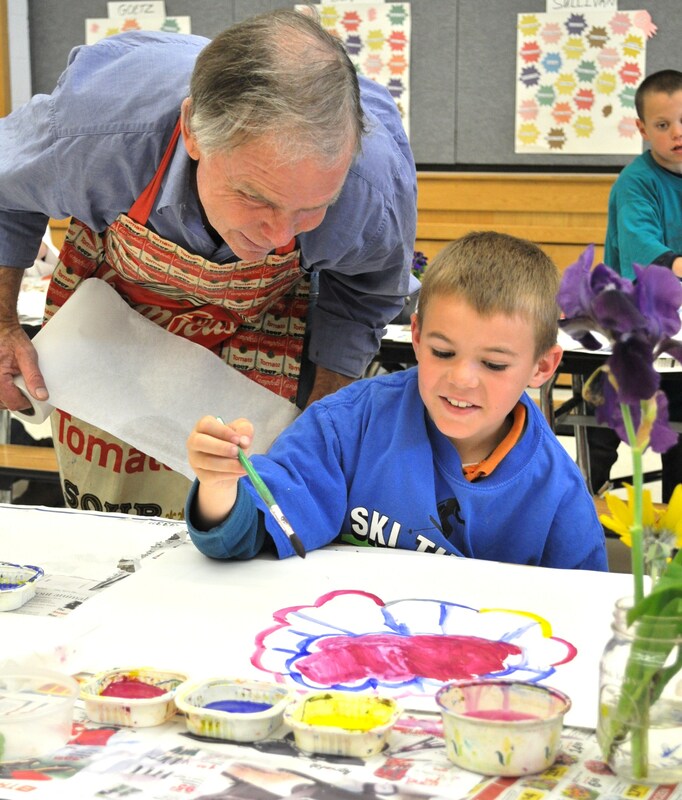 Working with Twisp artist Bruce Morrison, second grade students at Virginia Grainger Elementary School in Okanogan have painted enlarged versions of flowers in the Georgia O’Keeffe tradition. 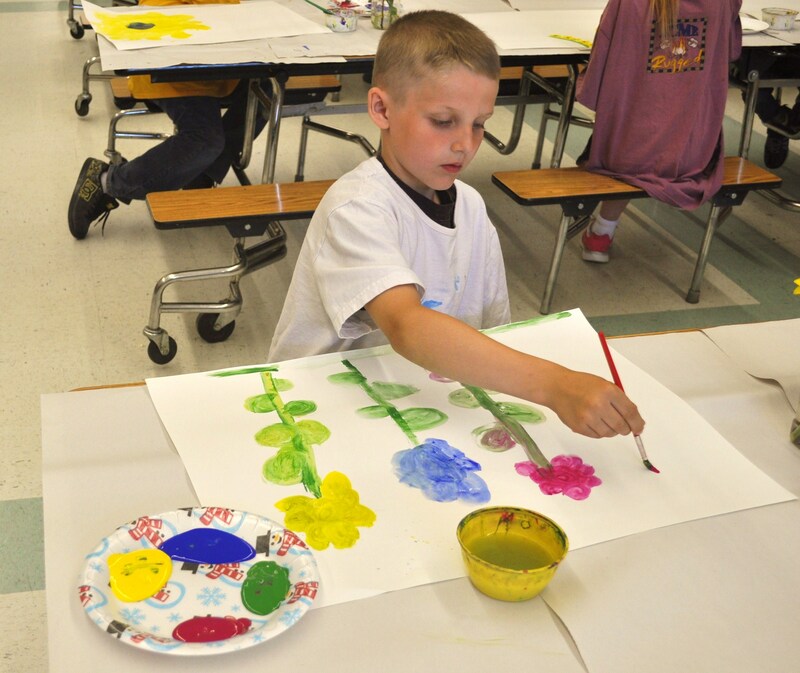 Eleven new original student works are currently on display at the Mid-Valley Hospital in Omak. 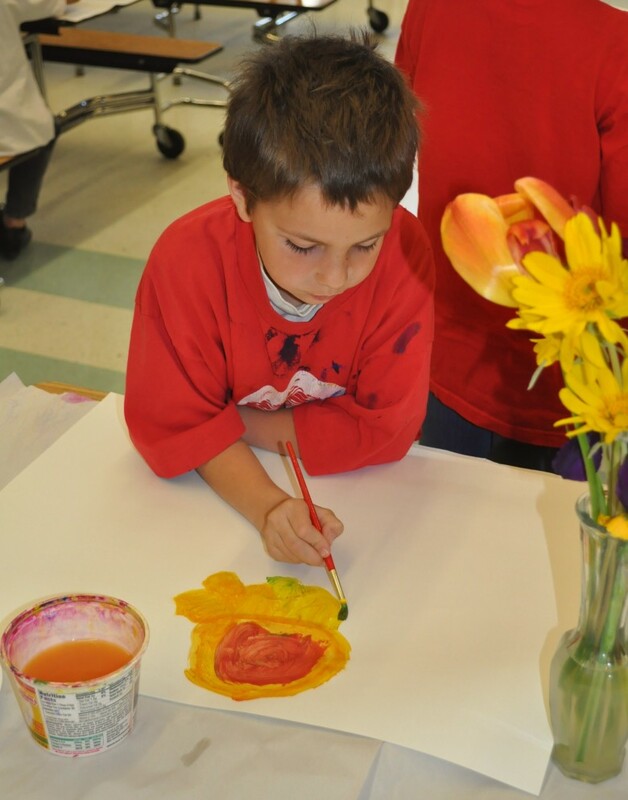 Morrison introduces students to the work of internationally-known artist Georgia O’Keeffe (1887-1986), whose signature paintings include abstractions of flowers, landscapes, and other natural elements as well as architecture of the southwest and New York City. 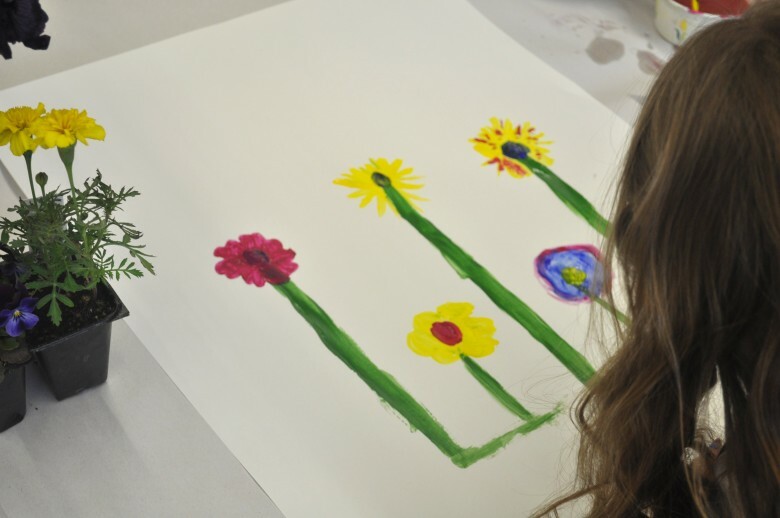 He then guided them through the process of painting their own flowers, using acrylic paint as a medium and freshly-picked spring flowers as inspiration. Students mixed primary colors (bright red, ultramarine blue, and chrome yellow) to derive secondary colors (green, orange, purple). 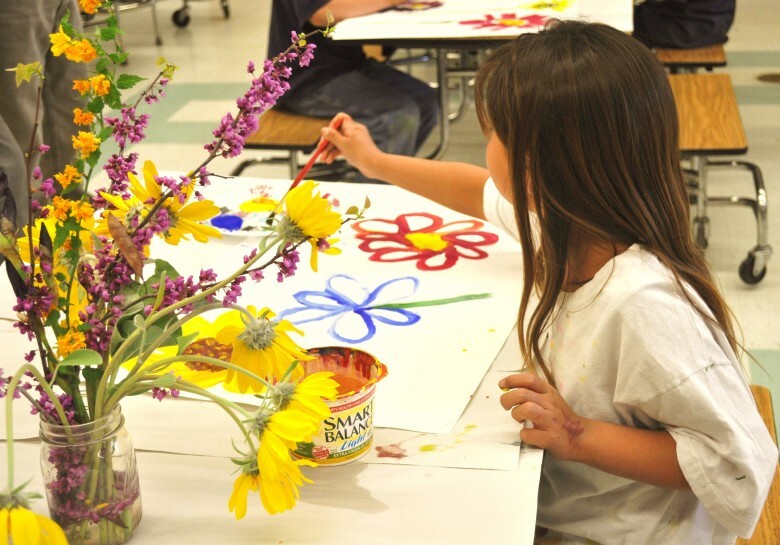 The installation changes annually and not only gives the hospital corridors a fresh new look every year, but also offers the opportunity to a new group of students to have their original artwork displayed in public. This residency was created by Methow Arts Alliance and is sponsored annually by Mid Valley Hospital, with additional support from the Community Foundation of North Central WA, Hamilton Farm Equipment, Okanogan Kiwanis, Okanogan-Omak Rotary, the Charlotte Martin Foundation, the Okanogan School District, the National Endowment for the Arts, and ArtsWA.